This product surprised me a little. I love the packaging which is simple, clean and elegant. It doesn't smell like anything at all. I gave it a 3 because it's not bad, I'd prefer no scent to a bad scent. And it did cleanse my face. It removed makeup and my skin felt refreshed. The thing that makes this product stand out is that it's incredibly gentle and very hydrating. If you have very sensitive skin or super thirsty dry skin then this is a great choice for you. 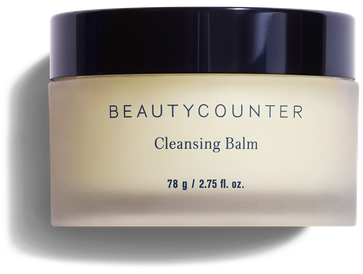 The company Beauty Counter only uses gentle and safe ingredients. They don't use any ingredients that are banned in the UK or China. So this works wonderfully for those concerned with chemicals in their skin care. To buy the Beauty Counter Cleansing Balm click here.